Stress is an every day occurrence for most people. There are exams to be written, deadlines to keep, rush hour traffic to negotiate and so on. Most of these so called “external” factors that cause stress can’t be avoided. If they can’t be avoided, then exposure to stress needs to be managed by avoiding situations that will cause stress as much as possible. Limit the risk, so to speak. If that can’t be done, then manage the body’s reaction to stress so as to handle stress and anxiety better. 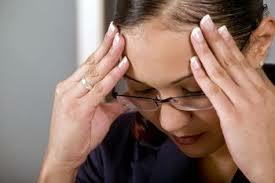 Coping with stress and the effects of stress need not be complicated or expensive. A simple program of regular exercise is all it takes to reduce stress related health problems. Exercise can even eliminate some of the so called “internal” causes of stress, which are related to one’s frame of mind and outlook on life. Exercise essentially burns away the chemicals like cortisol and norepinephrine that cause stress. 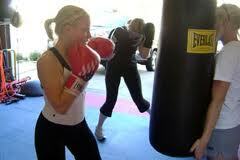 At the same time, vigorous exercise releases endorphins into the system. Endorphins are morphine-like hormones that are responsible for the feeling of elation, or well being that distance runners get from running. Other chemicals like dopamine and serotonin are also released in the brain during exercise. Together, these give a feeling of safety and security that contributes to off-setting some of the “internal” causes of stress, such as uncertainty, pessimism and negative self-talk. To benefit from exercise, it needs to be regular. Exercise needs to be part of a daily routine. Instead of working during lunch, why not take the time to go for a brisk walk, a run or work out at a gym? Exercise will reduce stress and reducing stress can increase productivity. Since exercise reduces stress chemically, it can also have a meditative effect during sustained cardiovascular work outs. The rhythmic running on the open road or treadmill can relax and clear the mind. Clearing the mind allows for a fresh approach to perplexing and stressful problems. Regular exercise also impacts on the way you feel about yourself. For example, if clothes fit comfortably and your body is toned due to regular exercise, you feel good about yourself. If you feel good about yourself, your self confidence is given a boost and stress due to feelings of inadequacy is reduced as a result. It will not only make you healthier but regular exercise will also cut down on stress and anxiety and their associated symptoms. As you begin to regularly shed your daily tensions through movement and physical activity, you may find that this focus on a single task, and the resulting energy and optimism, can help you remain calm and clear in everything that you do. Exercise helps your body systems practice interacting with each other, in a healthy way. This directly leads to a better overall response to stress. The results show that regular exercise increases energy and reduces fatigue. The average effect was greater than the improvement from using stimulant medications, including ones used for attention deficit hyperactivity disorder (ADHD) and narcolepsy. Researchers say nearly every group studied — from healthy adults, to cancer patients, and those with chronic conditions including diabetes and heart disease — benefited from exercise. Lack of sleep often leads to a vicious cycle. You become more stressed and anxious during the day, which means it’s even harder to sleep at night. Exercise not only helps break that cycle, but can lead to a positive cycle instead. When you sleep well, you’ll have more energy in the day and be more productive. The time is now. Get up. Get moving and create a less stressed, more energized you!!! You are currently browsing the CoachMeFit Blog blog archives for September, 2013.